While most everyone was preparing for 2010 to come to a close, some were reflecting on what the year had to offer. A lot of new bands started up last year, some getting out of the gate right away, others going at a slower pace, some staggering at the start with setbacks, and as usual a few broke up just months after forming. So to formally close out 2010 its only fitting we look at three bands from this past year. --- This past Thursday I made my way over to Kilby Court for one of their last official concerts for December. Kicking off the evening with alternative rock of The Descriptive (who weren't able to participate for this in time), the folk-country sounds of The Trappers, and the rocking force that is Holy Water Buffalo. All with over 250 photos of the evening for you to check out here. Dan: We are a five piece band; myself on guitar and vocal, K.C. Buringham on bass, Tyler Pexton on pedal steel guitar, Michael Swanson on the drums and Keith Thomas on lead guitar. We are from Bountiful and we have been playing as a band for about a year now. Dan: Music has always been a part of my life, I am big fan of old country, blues and rock'n'roll. It just seems like there is so much character in the older stuff, as far the analog recordings giving them the warmth and the songwriting. The Band is one of my all time favorite bands, Music From Big Pink and the self titled, The Band hardly ever left my turntable growing up and still even now I can’t get enough of that pure music. Some other influences would have to be; Bob Dylan, Neil Young, Hank Williams Sr., Gram Parsons, Doug Sahm, Rolling Stones, Muddy Waters, Robert Johnson, Blind Willie McTell, the list goes on. 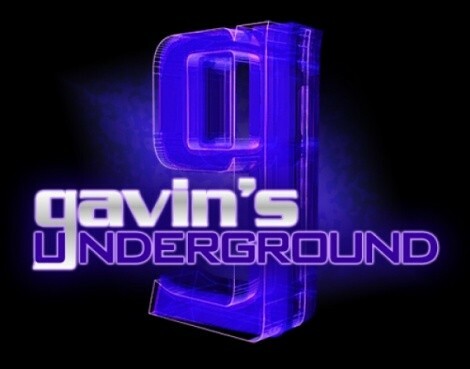 Gavin: How did you all get together to form The Trappers? Dan: It is actually pretty strange how the whole thing came together. I had been playing drums in a different band with my good friends in New Bonnevilles, which is currently on hold because of the other members that moved away to Mississippi and North Carolina for school. I have always played guitar and have always written songs, so when everybody moved away I stayed in Utah, I wanted to keep playing. I started playing guitar a lot more and writing a lot more. I had a bunch of songs that were just waiting to get a band behind them. I have known K.C. since elementary school. He had his own project going on called Mannequin Stick Figure, he was playing guitar and writing songs for them. That whole thing has sort of dissolved at least for the moment. We needed a bass player for the band, I had been talking to K.C. about playing and he said, “I play guitar I am sure I can figure out the bass.” So he bought a bass and we got together a few times to work out some songs and he has playing with us ever since. Tyler was also in a band previous to The Trappers, he was playing guitar in a honky tonk country band with our good friend Johnny Rank. That band also seemed to be interrupted by people moving away. Dan: About a year ago I was talking to Tyler about playing music and I mentioned that the Trappers needed a pedal steel player, he said he has always wanted to learn the steel. He sold all of his guitars and amps to put money towards a new steel. He has taken off with it ever since then, I have never seen anyone more dedicated to their instrument, he really buckled down and started practicing four hours a day. The steel adds so much to our sound, it is crucial for the sound we are going for. A lot of the pieces were coming together except we were still looking for a drummer that could fit the mold. Michael sat in with us a few times in the beginning stages of forming the band, he would sit down at the drums and just listen to the songs and do a basic beat which is perfect for our style. He had never touched a drum stick before he started playing with us. He literally got behind the kit and started playing, he completely self taught himself. He is a perfect player for the band. When we originally started out we were playing with our friend Todd Summers who moved to Portland recently to go to school. We then found Keith who was working at a local guitar shop, who is also roommates with K.C. and Michael. Keith has been playing lead guitar for us for about five months now. So, that is how it all came together everyone switching and learning different instruments to make this thing work. Gavin: Was it difficult putting together a five-piece band and coordinating your different tastes into an Americana sound, or did everything come together pretty easily? Dan: Everything came together easier than we could of ever imagined, everything locked into place quickly. We were all friends before the band ever came about so it just seemed like there was no pressure we were just getting together to hang out and to make music. Gavin: You released the self-titled album earlier this year. What was the recording process for that like, and what difficulties did you deal with along the way? Dan: Yeah, the self-titled album was released in November. We recorded the bulk of it at Counterpoint Studios in Salt Lake. I am a freelance engineer at Counterpoint so we were able to go in there and take our time. The whole vibe of the studio is very laid back. Gianni, the owner, has great equipment all over the studio. A few long days and nights turned out to be very rewarding. Terrance D.H. helped us mix it, and then we sent it off the New Jersey to get it mastered by Richard Morris of Felice Brothers. Gavin: What made you decide to go with Ten Records for the release? Dan: Ten Records is actually a label that I just started. The Trappers self released album is the first release on Ten Records. Hopefully I can keep it going and get other bands on the label. I have always wanted to start a label, so I figured why not kick it off with The Trappers debut album? Gavin: What has the public reaction been like since its release? Dan: It’s been great, it seems like people are enjoying what they are hearing, the local record stores have been great about letting us sell it in their stores. Slowtrain, Graywhale, and Raunch. It has led to us getting some really great shows lined up. Gavin: You've been picking up steam locally, getting involved with bigger shows and even playing EVE on New Year's Eve. How has it been for you all gaining that kind of exposure? Dan: Yeah, things seem like they are starting to pick up. We have been playing out quite a bit in the Salt Lake area the last few months. EVE was awesome, it was a great way to bring in the New Year and hopefully it leads to other opportunities. Getting that kind of exposure has really made us tighten up as a band. All the venues and other bands we have played with so far have been great and really supportive. Gavin: Are there any plans in the works to head out on tour, or mainly sticking to home for now? Dan: We would love to hit the road, we are going to start with mini weekend tours just to see how it goes, then from there we will see what happens. We are playing in Las Vegas in February that will be our first road experience. We are ready to venture out. Dan: It seems like the local scene is growing, there is quite a bit going on. There are quite a few places to play and it seems like more people are interested in coming out to hear the music. Dan: We just played the show with Holy Water Buffalo at Kilby Court. Those guys know how to play. They have a really cool sound. Folka Dots have a cool old sound, they have all acoustic instruments, guitars, violin, upright bass and tambourine, then the three part female vocal harmonies that will give you the chills. Some others would have to be: Cub Country, Jared Johnson & The Jackpines from St. George, The Legendary Porch Pounders and Max Pain & The Groovies. Dan: KRCL does a great job of getting local music played on their station, it is great exposure for all musicians that get air time. Especially when they get musicians in the station to do the “Live At Five” with Bad Brad. I think that can really affect local musicians by getting more people out to shows or maybe selling more albums. Dan: The whole thing seems like it has gotten out of control. It makes it really hard on local music shops to stay on their feet. It seems like right now vinyl is the way to go for buying music. You get the record, plus the digital download or the CD comes with the package. You get the best of both worlds. Dan: We are going to continue pushing our self-titled album that just came out. We will be playing quite a bite locally and hopefully traveling a bit. We have some new songs that are yet to be recorded so we hope to hit the studio for some more recordings. Dan: We'll be playing Pat's BBQ on Friday January 7th, The Woodshed with Small Town Sinners on January 14th, and The Urban Lounge with Spell Talk & Wisebird on January 21st. HWB: We have all grown up in Heber. We love life and love to have a good time. There's nothing that we love more than music and making music. HWB: Growing up we all had so many different influences, from jazz and big band stuff, to classic rock and motown to country and bluegrass. We love The Beatles, Ryan Adams, The Grateful Dead, The Strokes, The Guess Who, Otis Redding, we could go on and on. Gavin: How did you all get together to form Holy Water Buffalo? HWB: We all grew up together, attended the same schools. It was after high school that our musical passions became more serious and after all members had played in different bands at different times that this mix of members fit perfectly and quickly grew into something that captured lots of attention. It was by chance, by the love of music that we started playing - not in an effort to "start a band". Holy Water Buffalo was the by-product of our passion. We are all best friends and not only spend our time together playing music - but enjoy sharing our regular, every-day lives as well. We have this great chemistry, a great brotherly-love and all share the passion and love for music and this endeavor. Gavin: What was it like for you all trying to hone your sound and find a nice balance of acoustic and rock? HWB: There was never really a point where we were like, "we're gonna sound like this", it just kind of turned out that way. We started jamming for fun and after a while it just felt so good there was no way that we could stop. The more we rehearse and spend time working on our music the more it changes and evolves into what it is now, and it always seems that the more work we put in the more things fall into place. Other than that, our songs turn out however they turn out - there is no specific formula. Gavin: Unlike a lot of other local bands, you're based out of Heber City and travel between Provo and SLC. What it it like for you as a group to be somewhat outside the fold while still being involved? HWB: We really love living in Heber. It is the most peaceful, beautiful valley that is a great environment for creativity. We enjoy the fact that we are not from either SLC, Provo, Ogden or Park City - but instead have infiltrated into each area's music scene unbiased and unclaimed, somewhat unknown - and that's changing now. We are frequently being offered to play shows in all cities and with that have begun a big network of fans, friends, venues, other bands that is growing and spanning across northern Utah. Gavin: Back in early December you won Velour's Battle Of The Bands. What was that competition like, and how did it feel winning an event that's spawned a lot of major local acts? HWB: It was an honor to play with all the great bands that performed and it was great! We hadn't played very many Provo/Orem shows so going into it we thought that they would perhaps have an advantage - being more well known in that circuit, but we had such an amazing turnout of friends and fans that came out to support us - not only that but all the new faces in whole crowd were loving it as well! Everyone was dancing, jumping around and smiling - it was a great time. We were very confident going into it. We love our music and practice, practice, practice. Then we get to let loose on stage and have the love for music and each other create this fun, vibrant energy, which the crowd picks up on, as they become more in-tune and interactive with us. Gavin: You just barely put out your debut self-titled album. How was the recording process for all of you during that time? HWB: Working on the record was an overall amazing time and a great learning experience for all of us. It was great planning the whole thing out and then fitting the plan to our environment, finances, resourses, etc. We are very grateful to have had Richard Souther help us engineer and produce the album, he helped the process go very smoothly and was a great second set of ears as well as a great guy to work with in general. Gavin: What's the public reaction been like to it so far since its official release? HWB: The reaction has been great - many people have been asking for a CD for months and for us to finally have a product we are proud of feels really good. We have received many wonderful compliments from friends as well as people we've never personally met. We sold over fifty copies at our first CD release party at Harry O's back on December 22nd. And continue to sell more almost daily. Having our CD available for purchase online has been very beneficial as well and it's really inspiring and surprising to see the origin of the online downloads - everywhere from Utah to California, Nevada, Wisconsin, Florida, Germany and Sweden. We've had CD sales from people who have heard our songs on KRCL and UtahFM, as well as Park City's KPCW. It's been kind of a domino effect since we released our album - by receiving more publicity, more shows, more fans. so far it has been a very encouraging turnout. HWB: Utah has a great music scene, the people are hungry for new music and go searching for it. There is so much talent in Utah, it's great to see so many awesome bands coming from such a small region. HWB: Some of our favorites include Fox Van Cleef, Spell Talk, Max Pain & The Groovies, Red Dog Revival and The Trappers. All bands consisting of great people and great musicians. HWB: We love it and couldn't rave more about it. We really appreciate all the support and airtime we've already had from community/local radio - in SLC, Park City and Ogden. It really helps spread and introduce the music to those people who otherwise may have never heard of that particular local band - or ever cared enough to search for new music, but they regularly tune into these stations and may be surprised by some of the talent in their own community. Those people usually turn out to be very loyal supporters. The more air-time and publicity a band gets, the more the band name is spread and recognized. We often meet people who say "Oh, yeah... I have heard about you guys before." or "That band name is so familiar." or "Wow, I heard you guys on KRCL yesterday and I'm very impressed!" HWB: We have a kind of "let it be" opinion about this. We won't give our music away - we will sell all of our CDs because it cost us money to produce. However, if someone who purchased our album burns it for another friend, by all means - go ahead. We want our music to be shared and spread - heard by as many people as possible. Obviously there is no way to stop file sharing, just don't ask us for a free copy of the album. Haha. Gavin: What can we expect from you guys over the rest of the year and going into next? HWB: We have many shows booked throughout January and February already, including some really great gigs during the Sundance Film Festival. The next few months we will be opening for a some great touring bands and alongside a handful of great local acts at an array of venues. Although the longer plan consists of focusing on writing more music and also planning for a western tour. We would rather wait and plan to go on a well put-together tour, with lasting funds and lots of promotion - rather than jumping the gun and just going without it being logistically worth it. HWB: We have a website, Facebook, MySpace, Twitter, etc. Album on iTunes, Amazon, CDBaby, Rapsody and Napster. We're playing a show on January 18th with Spell Talk and VonVeederVeld at the Urban Lounge.